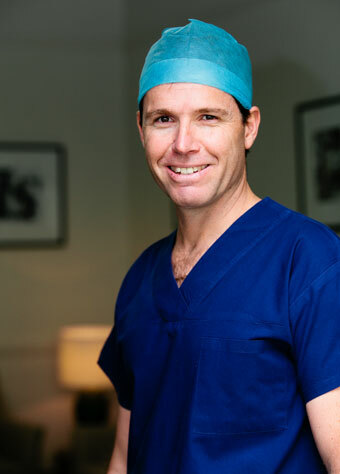 Orthopaedic Surgeon, Dr Andrew Higgs, is a Foot and Ankle Surgeon. Andrew’s specialist interest and knowledge is in all Foot and Ankle conditions, particularly sports injuries, deformity correction such as bunion correction and minimally invasive surgical techniques, treating recreational athletes as well as professional sportsmen and women. Andrew has been awarded a Master’s of Science degree from the University of Dundee, Scotland for his research in Achilles tendon ruptures. This research led to Dr Higgs pioneering a minimally invasive Achilles tendon repair technique and accelerated rehabilitation program. Andrew is also a surgeon in the Australian Defence Force and has returned from his second operational deployment as a Combat Orthopaedic Surgeon. Dr Higgs is available for consultation at his St Vincent’s Clinic rooms, Sydney Olympic Park and Macquarie University Hospital. Please direct all enquires on (02) 8382 6905. Are you a new Patient? Fill out the New Patient form for Dr Higgs.